An interview with Kirk Lundburg, President and CEO of Trade Technologies. 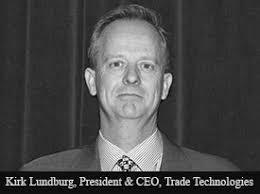 Kirk Lundburg has been President and CEO of Trade Technologies since 2002. Kirk is responsible for Trade Technologies’ business strategy, execution and results. He brings over 35 years of international corporate and technology legal and management experience to this role. Prior to joining Trade Technologies in 2001, Kirk was a partner at Gunderson Dettmer, a leading venture finance and technology law firm. Before joining Gunderson Dettmer, he was a Vice President at Robert Half International Inc., a NYSE traded, international staffing company. Previously, Kirk practised corporate and securities law with the international law firm, Latham & Watkins. Kirk received his JD from the University of Southern California and graduated with a BA in Finance from Iowa State University. He also serves on the Company’s Board of Directors. Trade Technologies is the world’s largest provider of outsourced trade document services and software. We provide technology-enabled outsourced trade payment solutions and software as a service to over 1500 global exporters, international freight forwarders and major international trade banks. 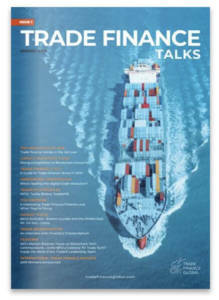 We also provide trade education webinars and seminars, cargo insurance and legalization services. Our primary customers for outsourced services are global manufacturing customers and our primary customers for trade document software solutions are commodities exporters. Our outsourced services are provided from 13 operations offices in the US, Asia, India and Europe. Each year, we process over $10 billion of international transactions on behalf of our exporter customers. Our patented, cloud-based TradeSharp Platform seamlessly connects exporters with suppliers, third-party logistics providers, buyers and banks for digital data and document exchange. 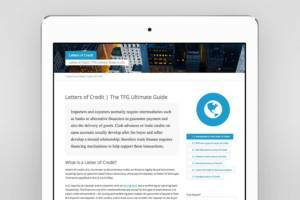 Since its first release in 2003, TradeSharp has been used to complete over 350,000 presentations of trade documents including over 100,000 fully electronic presentations of the original letter of credit documents to major trade banks. The total value of transactions completed using TradeSharp exceeds $100 billion. For over 15 years, Trade Technologies has been the leader in completing digital trade transactions. Since 2003, we have completed over 100,000 digital presentations of original UCP600 documents to major trade banks. Each of these digital presentations contained originals and copies of all required documents, including all types of original third-party “e-transport documents,” such as carrier bills of lading, house bills of lading, forwarder cargo receipts and air waybills. Trade Technologies’ presentations are fully compliant with the established rules of the UCP600 and have been honoured for payment by hundreds of issuing banks and buyers around the world. We currently present online to 72 examination offices of 24 global trade banks in 14 countries. How is Trade Technologies using technology to disrupt, enhance or grow international trade? The TradeSharp Platform digitizes and automates the creation and delivery of all first and third party trade documents for payment. Since 2003, our technology has been used to reduce costs and accelerate payment of over $100 billion of trade transactions for thousands of exporters globally. 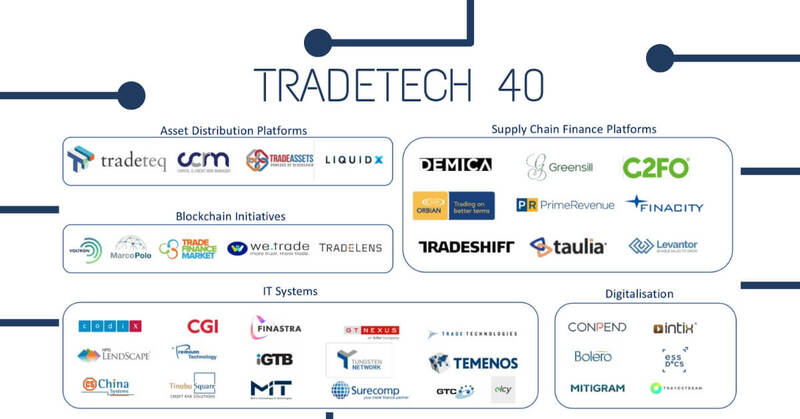 Why do you think Trade Technologies is represented in the Tradetech 40? Trade Technologies uses its people, technology and experience to make today’s trade work for exporters, banks, suppliers and buyers. We combine a global network of trade professionals with industry-leading technology to eliminate errors, reduce risk, accelerate payment and provide exporters with unprecedented vision and control of their transactions and process. 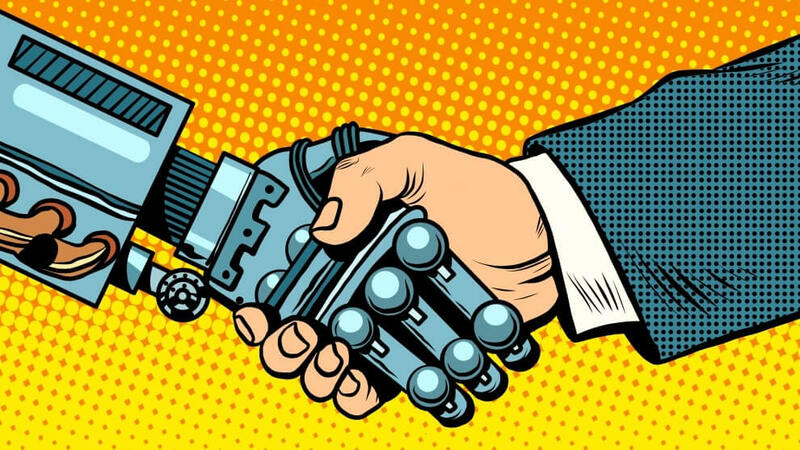 We also constantly add new technology, automation, locations and partners to provide automation, digitization and connectivity to a larger and larger group of trade participants. Our incremental approach provides value today while pushing and pulling global trade to the next level of digitization and automation. What are your biggest plans for 2019? In 2019, we are especially focused on building and supporting business in our two newest locations, India and Europe. What is your top prediction for 2019? The UK will remain in the European Union.